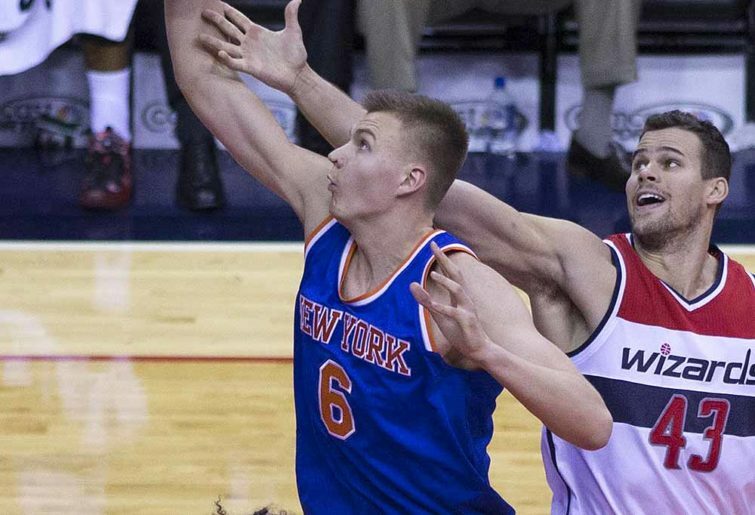 Porzingis met with Knicks President Steve Mills and GM Scott Perry on the morning of January 31st. It was leaked that Porzingis was unhappy with the direction of the franchise, was not interested in signing a contract extension with the Knicks and was requesting a trade. Less than one hour later he was traded. Mavericks Trade: DeAndre Jordan, Wes Matthews, Dennis Smith Jr, an unprotected 2021 first round draft pick, and an additional top-ten protected 2023 first round pick. The Knicks party line at this point in time is that Kristaps made it very clear he would not be signing a contract extension and would only be re-signing the qualifying offer, allowing him to become a free agent in 2020, essentially forcing the hands of the Knicks front office. If this were true the deal begins to make some logical sense. Trading away a franchise player, one you drafted is no small step to take. However if Porzingis made it clear there was no path to reconciliation the Knicks were going to have to trade him eventually. Unlike the Pelicans the Knicks will not have to deal with the circus surrounding the Anthony Davis situation. However you do have to wonder how a franchise that has struggled to find the relevance and on-court performance befitting the biggest market in the USA was so ready to pull the plug on a player with All-NBA potential. First and foremost rumours surrounding Porzingis’ dissatisfaction with the Knicks had been well documented, and both President Mills and GM Perry hinted at the fact that they had been preparing for this juncture for some time. In fact it had been leaked that Porzingis had threatened to leave the team and continue his rehab in Spain he was so disillusioned. Secondly the Knicks might, or even must, know something we do not about this upcoming free agency. This coming offseason Kyrie Irving (a New Jersey native), Kemba Walker (a New York City native), Kevin Durant, Klay Thompson, Jimmy Butler and Kawhi Leonard are all free agents, along with a slew of other talented players. Right now rumours are suggesting that a KD and Kyrie pairing in New York is being discussed privately. If the Knicks were privy to such discussions it would make sense to open the cap space to accommodate these players by any means necessary. It is clear plan A in New York is to go from one of the worst teams in the NBA to contenders in one summer. Which leads to the true value of this trade for the Knicks, cap space. By moving Kristaps Porzingis the Knicks were able to attach the contracts of Tim Hardaway Jr ($37 Million over two years) and Courtney Lee ($12 Million next year), and in return receive a much maligned young player whom the Knicks can and will certainly talk themselves into along with Dallas’ unprotected first round pick in 2021 and their first round pick in 2023, protected for selections 1-10. It must be stated for the record here that no one forced the Knicks to sign Hardaway Jr and Lee to irresponsibly over-priced contracts and that the remedy for this self-inflicted calamity was attaching a young franchise player (unhappy or not) to their contracts. Had the Knicks simply not signed these players, or signed them for something even resembling their market value the Knicks may have had he cap space and been able to keep Porzingis, who knows, maybe in that dimension he is even happy with the organisation for their prudent judgement and patience leading up to big free agent signings to create a winning team. The Knicks seem to be completely fine throwing the baby out with the bathwater and starting over. Time will tell if their short term objective of building around free agents will pay off, this is not a franchise that has recently had any success attracting stars, however the team remains an objectively attractive destination. How this trade is judged will depend entirely upon free agency, trading away Porzingis for Dennis Smith Jr and two non-lottery picks won’t cut the mustard for Knicks fans, even if they get Zion Williamson in this upcoming draft (an asset they already control). This is a bold and opportunistic move by Dallas. Pairing Kristaps Porzingis with fellow european Luka Doncic is about as titillating a duo as you can hope for in the NBA. 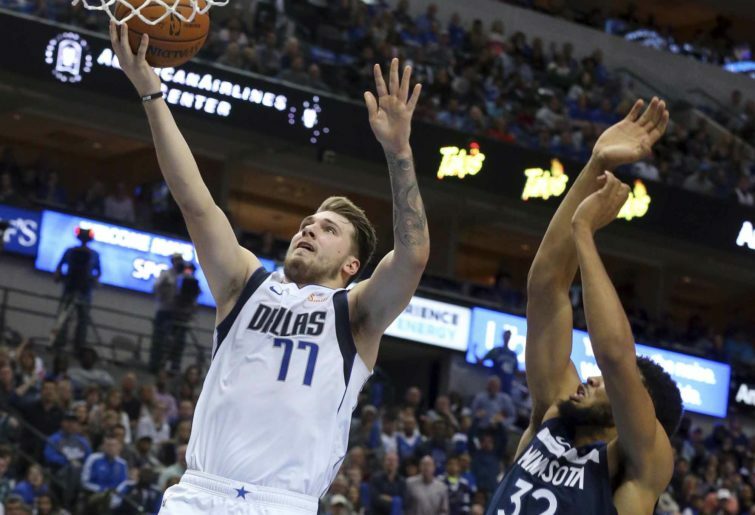 Doncic came into the NBA with an unprecedented resume of success in europe and has not disappointed, establishing himself as the runaway favourite for rookie of the year and giving plenty of hope to Mavs fans that many All-Star appearances, All-NBA selections and playoff runs are all but certain. On paper the two players styles and skill sets match. Doncic is the primary ball handler and playmaker who can create for himself or others and Porzingis is the prototypical modern big man, an athlete who can score inside, stretch the floor and defend the paint. What the Mavs had to give up to pair these two together matters. First of all the players. Jordan and Matthews are, while serviceable NBA players, ageing vets whose timelines did not align with that of Doncic. Their greatest value at this stage of their careers is their expiring contracts. Dennis Smith Jr on the other hand is 21 years old and in the second year of his rookie contract after being selected ninth overall in the 2017 draft. Smith Jr has been neither good nor bad as a rookie, as you would expect inconsistency has plagued him through his first season and a half, but he has certainly demonstrated enough skill to suggest he will have an above average NBA career. 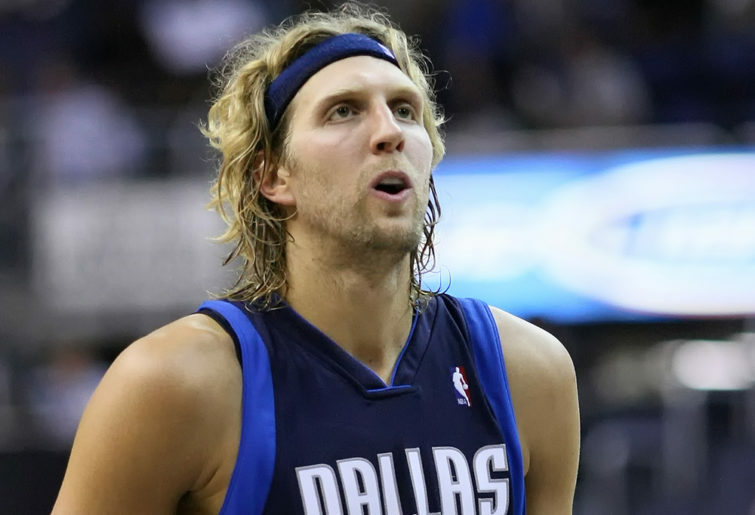 He has been on the outer in Dallas since Doncic arrived, primarily because Doncic is a vastly superior player and their skill sets do not fit well together. However he is an intriguing player for New York who hope they have got themselves are bargain on a guy who still has plenty of potential. The package of players really does not matter to Dallas here. What does matter are the draft picks. After trading away their 2019 first round pick to Atalanta to move up two spots to select Luka Doncic, the Mavs have now traded away their 2021 first round pick, unprotected, and their 2023 first round pick protected for selections 1-10. This means the Mavs will only own their own pick in two of the next five drafts. Whilst picks outside the lottery rarely result in All-NBA players they do provide teams with potential rotation players on very cheap contracts. A means of replenishing stock in an affordable manner. Given the nature of owner Mark Cuban it is clear the Mavs will seek to establish their core of superstars and key rotation guys and will sort the rest out later, but they will not have made it easy on themselves reducing their capacity to find players through the draft or use those picks to make a trade to complement the Doncic-Porzingis duo. As the dust settles it may seem like Dallas have won this trade, and that is most likely true when taken in isolation. However is a core of Porzingis, Doncic and Barnes going to get you into the NBA finals. There are some nice complementary pieces in Dallas already but none that really excite you. The Mavs are relying heavily on Porzingis to come back from this ACL injury better than ever and for both he and Doncic to elevate themselves to All-NBA calibre players. It is not impossible by any means but far from a certainty.